Fort San Fernando de las Barrancas, also known as Fort des Ecore. 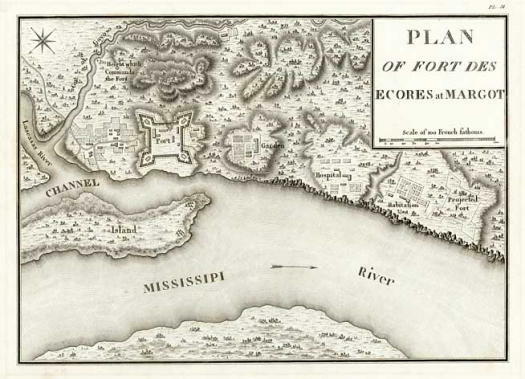 Twelve years after the end of the American Revolution the fledgling nation had a competitor for ownership of the bluff where Memphis now stands. The Spanish quickly erected a log fort near the area of Front and Autumn Streets in preparation for a possible attack by the French, their old European rival. The hastily built stronghold was named Fort San Fernando De Las Barrancas (also known as Fort des Ecore) . Through a series of wars and treaties the Spanish had clear title to lands west of the Mississippi, but the new American nation had the right to lands east of the river, and would soon challenge the Spanish for ownership. Captain Isaac Guion led an American force down the Ohio River to reclaim the land, and, on July 20, 1797, landed near present day Memphis. The Spanish had retreated west of the river and the smoldering remains of the wooden fort were all that was left. The Spanish ownership which was to last “forever” had barely lasted two years. To learn more about all of our region’s history, visit us at the Pink Palace Family of Museums, or on their Facebook page, or at http://www.memphismuseums.org. 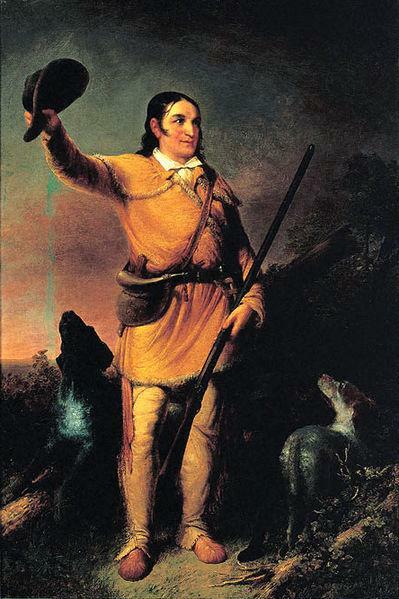 Davy Crockett, folk hero, West Tennessee Congressman, bear-hunter, and martyr of the Alamo, had a colorful reputation, which he enjoyed and promoted. Memphis, TN – Memphis Moments is co-produced by the Pink Palace Family of Museums (http://www.memphismuseums.org) and WKNO-FM, and airs on Tuesdays and Thursdays during All Things Considered on the WKNO Stations.